Western Ghats has been in news because of Gadgil Committee report controversy. Entire tract of hills from the Tapi to Kanyakumari is called Western Ghats. About 30% of the area of the Western Ghats Region is under forests. Gujarat (portions of Dang Forests). (no need to mugup table, but if you’re from any of these districts, be more prepared for “profile based” interview questions on Western Ghats). Highest peak: Anai Mudi (Kerala) Dewodi Munda (Odisha) (as per Majid Hussein). Update: Highest peak in Eastern ghat is Jindhagada peak Andhra- it is few meters taller than Dewodi Munda. Fast flowing rivers, donot form delta Long broad rivers, form delta. Flow into Arabian sea. Into Bay of Bengal. 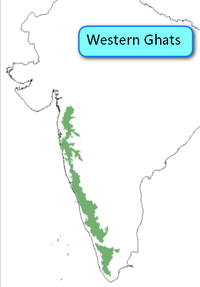 Land between Western and Eastern Ghats=Deccan plateau. Nilgiri hills connect Western and Eastern Ghats. There is no definite time for trees to shade leaves. Hence the jungle appears green throughout the year. Trees shed leaves during dry season. Three main rivers of South India= Krishna, Godavari and Kaveri. 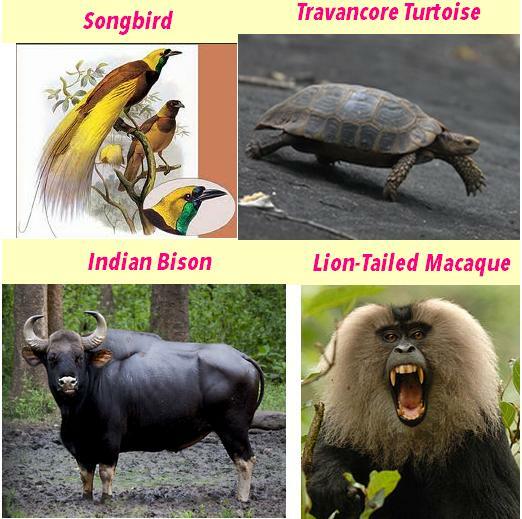 They originate from Western Ghats. Traditionally these water resources were used to irrigate the valleys for paddy and arecanut cultivation. But later, construction of major river valley projects =irrigation + power generation. The steep slopes to the western Ghats = ideal for constructing dams and hydel power generation. In recent years construction of resorts and hill stations started around lakes and rivers. E.g. Amba Valley, Lavasa. Rivers flowing from the Western Ghats drain almost 40% of land in India. Roughly 250 million people depend on these rivers . From Western Ghats, rivers originate and flow in both directions: West and East. Origin (both MP) Amarkantak hills Satpura Ranges. States covered Guj, MP Guj, MP, Mah. Other names Reva Handmaid of Narmada. 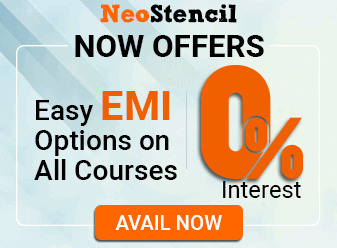 *NCERT Class 9 Geography: Chapter 3 page 21. Every once in a while, UPSC has a nasty habit of asking MCQ question from “delta-type” (Lobate, Arculate etc.) so do mug it up hahaha. Mahanadi also drains in Bay of Bengal but it comes from Chattisgarh=not part of Western Ghats. Earlier slash and burn type agriculture. Nowadays Terrace farming. 1980 onwards = explosion of forest-based industries such as paper, plywood, polyfibres, matchwood, tanning etc. The Western Ghats is one of the Biodiversity hotspots of the country. The wild relatives pepper, cardamom, mango, jackfruit and plantain=found here. Thousands of endemic* species of flowering plants, insects, trees, fishes, butterflies, dragonflies, mollusks (land snails) present. Any species which is exclusively confined to a particular geographical area and it is found nowhere else in the world. Recently discovered frog species in Western Ghats. It proves that Western Ghat was once part of ancient Gondwana region. Several Species Of Legless Amphibians. In the next article, we’ll see the threats to this rich biodiversity of Western Ghats. Indravati is also a tributary of godavari. UPDATE:Highest peak in EG is JINDHAGADA(Andhra). India’s largest boundary is with Bangladesh… 1496 km. Amravati is not a tributary of kaveri. Its of Tapi. As given above is : Dewodi Munda (Odisha) (as per Majid Hussein). Update: Highest peak in Eastern ghat is Jindhagada peak Andhra- it is few meters taller than Dewodi Munda. Sir i have downloaded study material of ecology of IGNOU but it not supports in mobile so plz tell what should i do for that any suggestion for mobile App..